If you’re condition is not listed above please call our office to see if you can be helped. 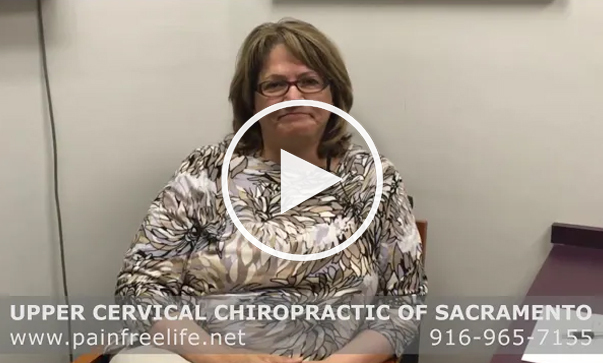 The listed conditions are only some of the many different conditions that have responded well to Upper Cervical Care. For 30 years I dealt with physical pain. I thought I tried it all; exercise, physical therapy,eliminating certain foods, vitamins, digestive enzymes, massage, Bowen, walking, and Yoga. Over time I gave up things I enjoyed like tennis, sewing, gardening, visiting friends, and work. Everything became an effort. My daily activities that included upkeep of my home became a daily challenge. Some days were spent in bed. My motto became “get through the day”, tomorrow will be better”. It was difficult to sit in a chair or in the car for more than 20 minutes. It hurt to stand in line at the store. To make an appointment with the dentist or even to make time with a friend would create fear knowing I may have to cancel. All this took its toll emotionally. I added another motto “this too will pass”. Since I have met with Dr. Gottlieb in March 2007 my life has made a turn around. It’s hard to put into words the difference I feel. The best way I can put it into words is the days are brighter. I go to bed without any medication and I sleep all night! I started a new hobby and I look forward to sew again. As I write this I have not taken pain medicine for 2 weeks. It has been a long 30 plus years but now my motto is “ I am better and better each day”. Thank you Dr. Gottlieb for being who you are and helping me get my life to a better place. I have suffered from Migraine Headaches for 34 years. I had a constant low grade headache with neck pain. About 3 days per week it would go into a full migraine. It felt like my head was in a vice. I couldn’t even take care of my child having to burden my family to help out. I was probably causing damage to my liver by having to take 7-8 Motrin per day for 8 years. The migraines would cause me to miss work as well. Sometimes I would be literally bed ridden. I found out about Dr. Gottlieb a few months ago. I heard that he practiced a special technique that deals with alignment of the head and neck called Upper Cervical Care. After the first adjustment I could not believe it but my constant headache disappeared immediately. I have not had a single migraine since. I work as a hair dresser and would get lots of lower back pain from standing but that has gone away too. My flexibility has increased as well. The best part of all is that I only have needed a few adjustments since I started care about 2 months ago. I suffered from severe asthma which made breathing very difficult. I enjoyed playing basketball but could not play the entire season because of breathing problems. I was on many asthma medications which really did not help much. I had trouble sleeping as well. I just could not find a position that was comfortable for my neck. After starting treatments with Dr. Gottlieb, I noticed that I could breath better while playing basketball. Gradually my asthma went away all together. I now can play sports of all kinds without any breathing problems. My energy level and stamina is much higher too. I am sleeping better because I am able to find a comfortable position for my neck. I am writing to thank you for going above and beyond the call of duty in your care for me. As you know, I was in severe distress earlier today. Since you adjusted me, the emotional pain has greatly lessened. Whatever you do makes a big difference in my body. For me, the physical pain is not as bad as the emotional pain. I feel acute anxiety when my atlas is out of alignment. Ten minutes with you changes everything. I can’t thank you enough for what you do for me. I want all of your patients to know that your brand of chiropractic care can have an impact on mood and overall well being. It is amazing. I just wish I could return the blessing of kindness and care that you have showed me. I have suffered from chronic anxiety for much of my life. I have tried therapy, behavior modification, medication, and more to alleviate my discomfort. Your method of chiropractic has made a huge difference in my life. My name is Lenore Israel; everyone just calls me Nora Sue. In 2001 I had a minor accident that left me having to use a cane. Every two to four days my back would go out or my left hip and leg would hurt with each step I took. In 2004 I started going to a chiropractor, sometimes 3-4 times per week. For the next three years I battled a vicious cycle of adjustments and hoping the adjustments would last. In October 2007 I attended a meeting that Dr. Gottlieb was giving on Upper Cervical Care. Being skeptical I didn’t make an appointment until mid- December. Dr. Gottlieb took x-rays and had me come back for a consultation and my first adjustment. I was amazed at how much better I felt. Dr. Gottlieb told me that I should be able to walk in three months or so without the aid of my cane. True to his word, I am able to walk for the first time in 6 years without my cane. Thanks to Dr. Gottlieb I am getting my life back. 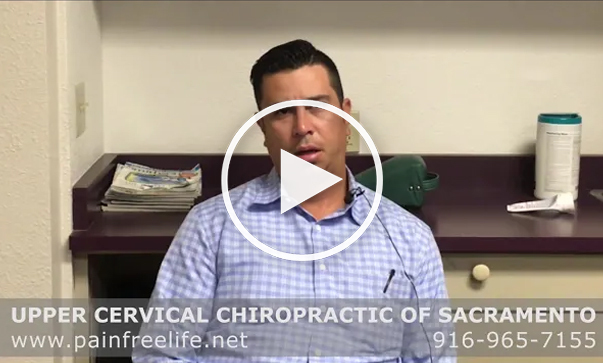 Before coming to see Dr. Gottlieb I had been experiencing constant neck pain and left shoulder pain for four years since having a bad fall. I had migraine headaches for 15 years. I suffered from allergies and sinus congestion for 20 years. I suffered from depression and fatigue for five to six years. I tried acupuncture, physical therapy, and massage which didn’t really help very much. One day my massage therapist suggested that I go to see Dr. Gottlieb because she noticed certain things in my body that indicated a bone might be out of alignment in my upper neck. She said that could be the reason that I was not getting well. I decided to give Dr. Gottlieb a try and to my amazement I noticed changes in my body that I had never experienced before with other treatments. The migraine headaches that had been bothering me for 15 years completely went away and have not come back! This was after only one adjustment by Dr. Gottlieb! Slowly over time my neck and shoulder pain that had been constant for four years went away. To my surprise my energy began to increase and my allergies, sinus congestion, and depression disappeared. 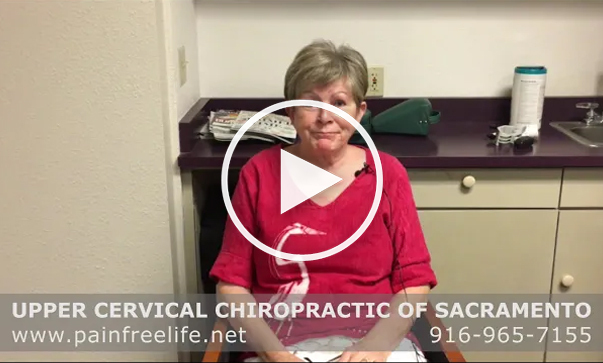 My entire body was healing and I only came in for my neck and shoulder pain. My husband has noticed me laughing more. I can walk and cook all I want without having to endure increased pain. I eve started yoga classes which were out of the question before. Thank you Dr. Gottlieb. Besides having lower back pain and neck pain I also was experiencing debilitating dizziness. 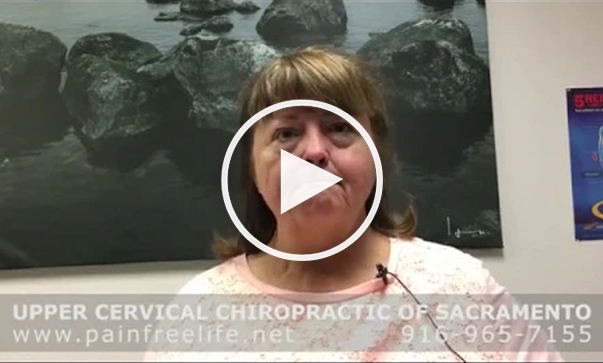 I had been to other chiropractors who relieved my neck and back pain but were not able to help with the dizziness. In fact, I was almost at the point of swearing off chiropractic treatment all together because I had been hurt by forceful adjustments. Medical doctors had given me medications for my dizziness/vertigo. When I had my first appointment with Dr. Gottlieb, I asked Quinn if she was a gentle doctor. She assured me he was very gentle and that eased my mind. Little did I know at the time that he was more gentle then I could ever have believed, almost to the point of wondering; did he do anything? Dr. Gottlieb took x-rays of my neck and head and explained the degree of misalignment and began treatment. Little by little I was able to hold my alignment. I have had time where I lost my alignment due to my various activities but for the most part I am keeping my alignment with periodic adjustments. At the present time the dizziness/vertigo is gone. Dr. Gottlieb has a genuine concern for the best health possible for his patients. Before my son began seeing Dr. Gottlieb he had a lot of processing problems. He didn’t listen. He had trouble staying seated and /or focused in group settings. And, as we were to find out when he was seven, he had no peripheral vision. It was very difficult to take him anywhere, because he always seemed to be getting into trouble. We were told repeatedly that everything was fine by his pediatricians. We tried several, while trying to find a solution. We were told he was just a bright, active boy, with better than 20/20 vision. Finally we tried having his vision analyzed at Sacramento Vision Care Optometric Center. We were really drawing at straws by this time. But, it turned out to be the best decision we made. They discovered that our son had no peripheral vision. And they thought this might be caused by his head and spine being out of alignment. So he was referred to Dr. Gottlieb for evaluation. Dr. Gottlieb located the problem and began making adjustments. He was always kind and very gentle with everything he did. My son is a different boy now. He is much calmer and now has all of his vision back. For my family this is truly a miracle. My son was suffering from on and off ear infections from when he was a baby until 2 years old. The ear infections became more sporadic from 2-5 years old. For the last 2 years before seeing Dr. Gottlieb my son would have strep throat about 6 times from November until April. This occurred for 2 consecutive years from 2006-2007. In August of 2007 my husband and I scheduled our son to get his tonsils removed because the medical doctor said this would keep our son from getting strep throat in 2008. 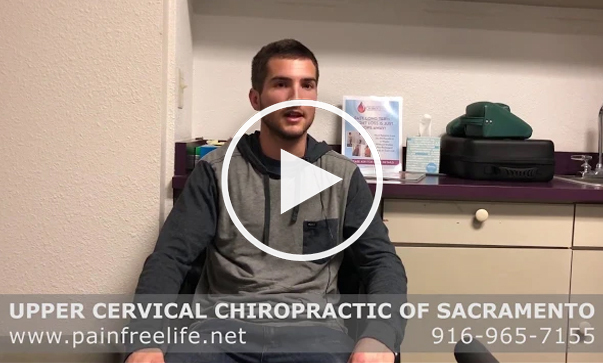 I was seeing Dr. Gottlieb for neck and back pain at the time and mentioned that my son was going to have his tonsils removed. I told him what the medical doctor said. He wanted to check my son to see if his atlas was in proper alignment because sometimes a misaligned atlas can lower immune system function. He examined my son and found that he had a very large atlas misalignment. Dr. Gottlieb advised us to cancel the surgery and allow him to align my son’s atlas vertebrae. Then we could see if this would keep my son from getting strep throat during the coming cold season. We decided to give Dr. Gottlieb a try. Well, it is now February 2008 and my son has not had any strep throat infections. Everyone in his class was getting strep throat but he only had a few minor colds that went away very quickly. Since the first meeting with Dr. Gottlieb and listening to him explain the upper cervical treatment along with all the benefits from the treatment really brought hope and excitement to us especially in regards to my autistic daughter. We made an appointment that night at the meeting for both my daughter and myself ( I have recurring headaches). The treatment is very simple and not at all intrusive, all we feel is a little pressure when the minor adjustment is made and nothing is forced or twisted. I have not had a headache since we started treatement. My daughter had been focused, has spontaneous verbalizations and doing great in her school work. Just the other night for the first time, my daughter had a long conversation with me. I am excited to see what changes are still to come. Questions without the help from the teacher. And watched T.V. with her friend. School when she is not understanding an assignment. My son was diagnosed with autistic spectrum disorder. Since being treated by Dr. Gottlieb I have noticed many improvements. Joseph has an awareness that was not there before his treatment with Dr. Gottlieb. He has increased confidence. Specifically, he has become aware that eye contact is necessary. Joseph seems to be picking up slang naturally, can converse better, and has less temper tantrums. To schedule an appointment with Dr. Gottlieb just click the button below.